If you’re looking for a modern, hardy and attractive addition to your garden, then look no further! Lomandras may be just what you need as a low maintenance solution. 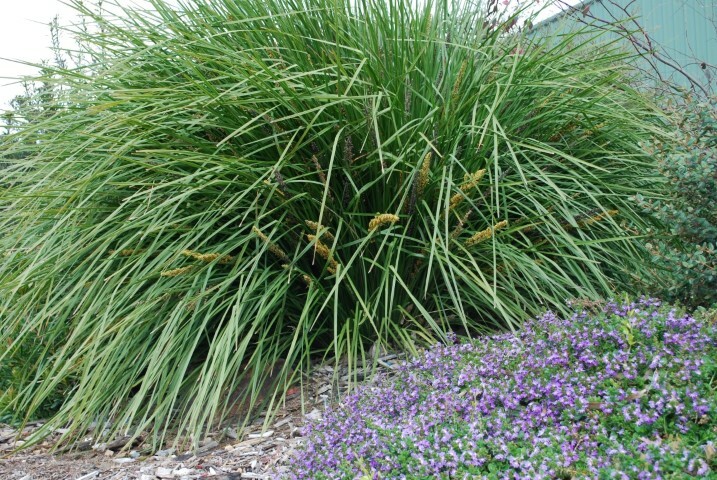 These Australian native grasses come in a range of foliage colours and types as well as habits. From lush vibrant greens to soft smoky greys, and everything in between – able to fit in with any style garden with ease! They can be upright for a strong and bold look, or delicate and weeping to soften bare spaces. They’re a great choice to edge a pathway and right at home between rocks and other natural and hard landscape features. Plant them en masse or by themselves to suit your needs. They also display flowers which range from cream to bright yellow, and even a touch of purple. Many varieties are also delicately scented. They would make an interesting and long-lasting cut flower, or you can leave them for the birds and wildlife to enjoy. They’re very easy to grow and won’t take up much of your time or resources. Well drained clay loams or gravelly/sandy soils are best. They do well in a coastal environment as well as inland. Cool moist to hot dry climates are all suitable in a full sun to part shade location. They are also frost hardy. They will grow at a medium rate and bring you many years of enjoyment for not much work. The only care and maintenance is to remove spent flower stems if desired. Remember to feed with low phosphorus native fertilizer early spring or late summer for best results. Lomandras will happily grow in a container on your balcony or patio. Use a good quality potting mix such as PotMate Premium Potting Mix from Debco.